The Little Hills ExpresswaySite, a hilltop archaeological site overlooking the Missouri River in St. Charles County, was discovered during 1980 by David L. Browman (Washington University in St. Louis). The site was extensively investigated by Neal Lopinot before it was destroyed by highway construction. The pottery and stone tools excavated from the site belong to two time periods: Middle Woodland and Late Woodland. Limited test excavation of the site took place during 1982 (Browman, Fuller and Fuller 1982) followed by an extensive rescue excavation carried out during 1989 by Lopinot (1990). A charcoal sample submitted by David Browman yielded an uncalibrated radiocarbon date of AD 560 +/- 130. The diagnostic pottery sherds and stone tools indicate that the Middle Woodland occupation dates as early as 100 BC. 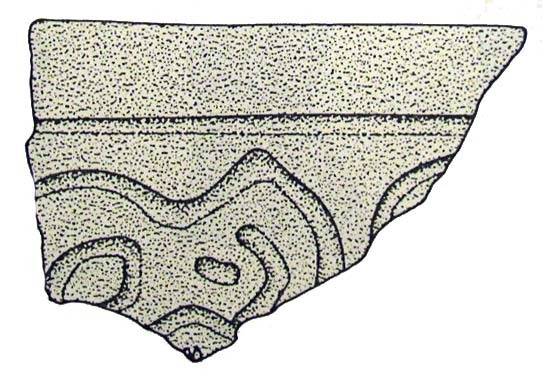 Decorated pottery styles, small clay figurines, and diagnostic stone tools from the site share traits in common with severeral "Hopewell" sites in Missouri, Illinois, and Ohio. Cricket Kelley identified the animal bones recovered during the rescue excavation. Virtually no identifiable animal remains were recovered during the excavations of Middle Woodland Features 1 and 25. White-tailed deer is represented for the Middle Woodland feature 1 by a single metapodial fragment. This species is also represented for Late Woodland features 30 by a small tarsal/carpal fragment and a relatively large piece of antler. Other identified bones from the Late Woodland features include pieces of dog/coyote, fish (3 bones appear to be catfish while others are smaller fish), and a small mussel shell. 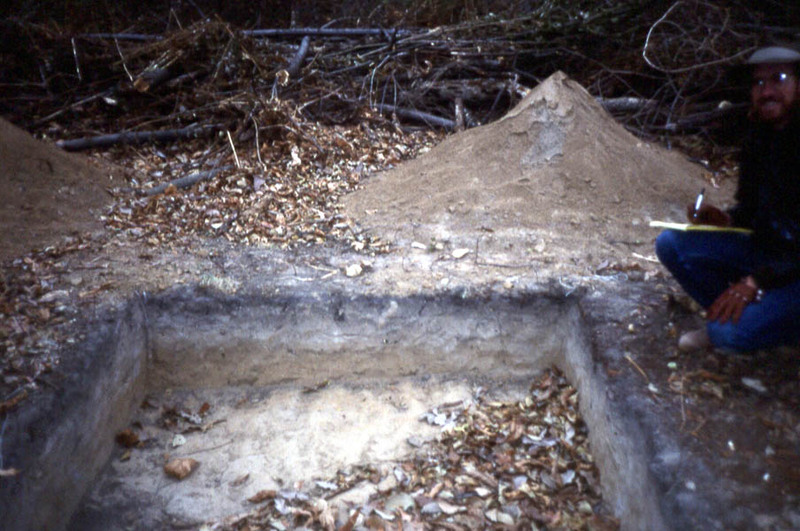 Carbonized seeds recovered during the excavation were separated as to the Middle Woodland vs. Late Woodland features. The Middle Woodland samples were very small (110 specimens) and included hickory, black walnut, oak acorn, and hazelnut. All of the hickory shell fragments are from nuts having medium-thick or very thick shells, such as those produced by shagbark, pignut, and mockernut hickories. Cultivated starchy seeds included chenopod (Chenopodium berlandieri), maygrass (Phalaris caroliniana), and erect knotweed (Polygonum erectum). A single eroded fragment of a squash rind was identified from Unit 2, feature 1. The presence of several hoe fragments and numberous polishesd flakes in the Middle Woodland contexts attests to the importance of small scale gardens to the Native America population living at the Little Hills Expressway site. Carbonized seeds dating to the Late Woodland Period illustrate the decline in hazelnut exploitation, but a continuation of the limited exploitation of black walnut. Acorn exploitation was at least as high as that for the Middle Woodland occupation. Cultigens include (Chenopodium berlandieri), maygrass (Phalaris caroliniana), erect knotweed (Polygonum erectum) and little barley (Hordeum pusillum). Additional cultigens include sunflower, tobacco, and possibly maize. Sunflower achenes and tobacco seeds are represented in both feature clusters. Six fleshy fruits are represented including elderberry, black nightshade (Solanum americanum) wild grape, persimmon (Diospyros virginiana), sumac (Rhus sp.) and blackberry/black raspberry (Rubus sp.). Squash rind fragments occur in 9 of the 37 flotation samples. The only tentative identified maize specimen consists of an eroded cupule found in a cluster 1 feature sample. Obsidian flakes were not recovered at the Little Hills Expressway Site. 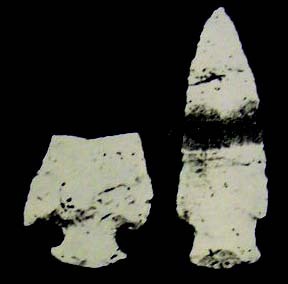 The stone tools and waste flakes were primarily manufactured from Crescent chert (local to St. Louis County), but 6 specimens of Cobden-Dongola chert (from Illinois) were recorded. Other non-local stone artifacts included 30 pieces of hematite (probably from Franklin County, MO) and a single cube of galena (from either Southwest or Southeast Missouri). 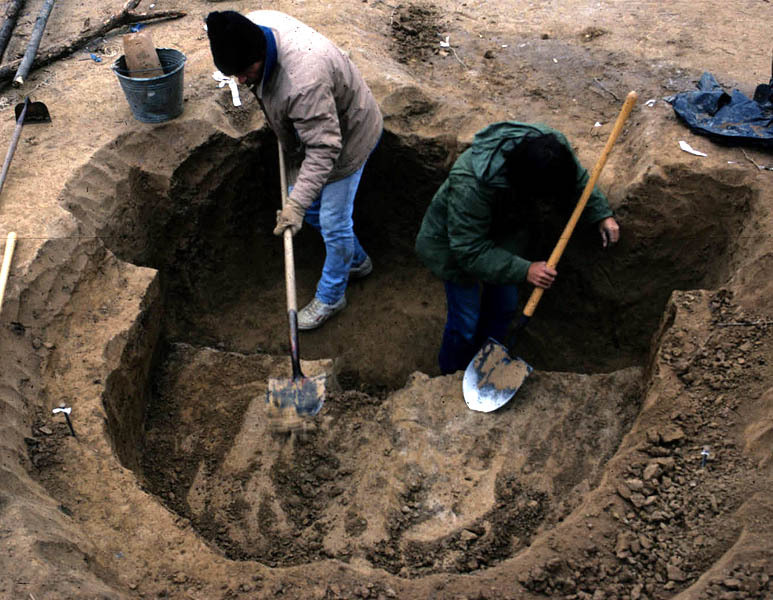 Two clay figurines were discoverd during the rescue excavation. One figurine is matchstick-sized and the other a more traditional "casper" size. 1982 Cultural Resource Survey of the Little Hills Expressway Project for the City of St. Charles, St. Charles County, Missouri. Preliminary Survey Report on file with the Office of Historic Preservation, Jefferson City, Missouri. 1982 Phase II archaeological testing and evaluation of the Little Hills Expressway Site (23SC572) in St. Charles County, Missouri. Manuscript prepared from the City of St. Charles, MO. 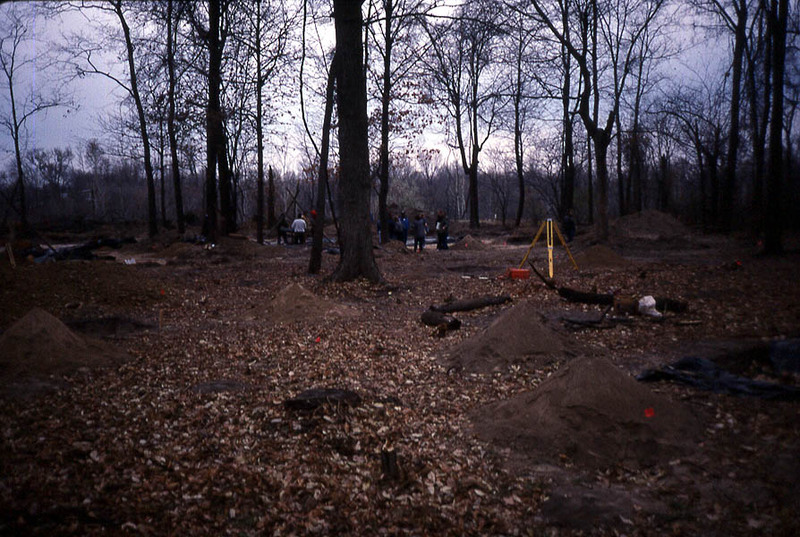 1990 Archaeology of the Little Hills Expressway Site (23SC572), St. Charles County, Missoui. Southern Illinois University - Edwardsville Archaeological Program Research Report 6..
Special thanks to Dr. David L Browman for allowing us to participate in the Phase 2 testing of the Little Hills Expressway Site. 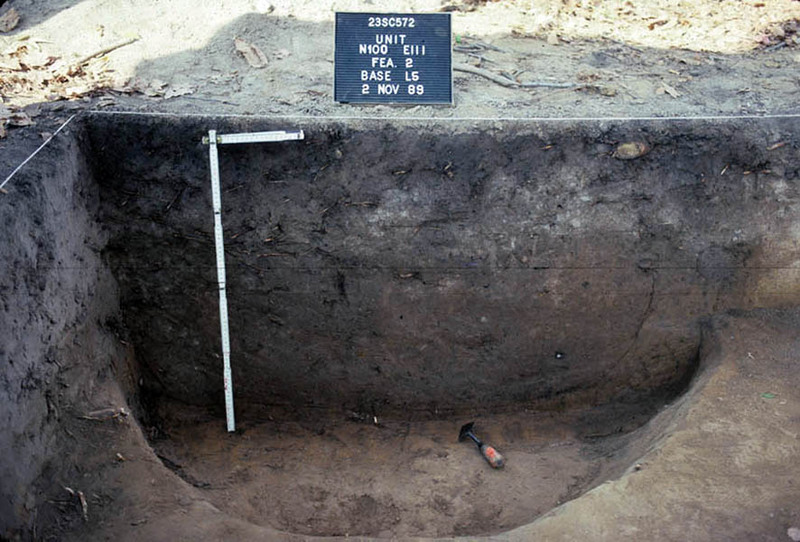 Thanks to Dr. Neal H. Lopinot (Missouri State University - Center for Archaeological Research) for providing a copy of the final report and scans of slides related to the excavation. Shovel skimming a pit feature after it had been profiled. 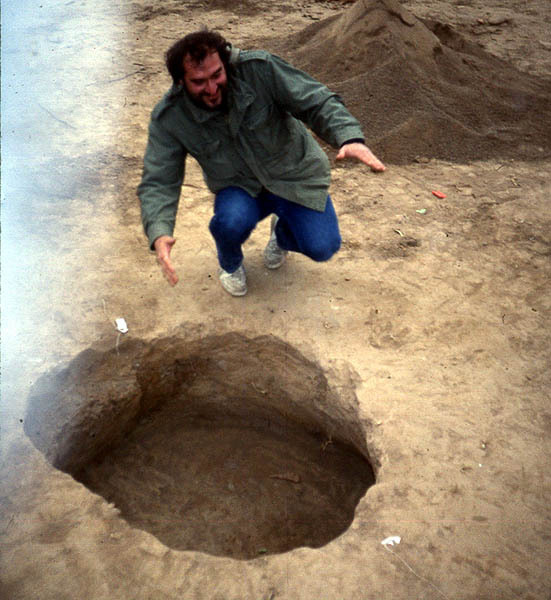 Joe Harl examines a storage pit that had been used as a trash pit at 23SC572..
Test pit with visible strata. Transit and excavation pits at 23SC572. 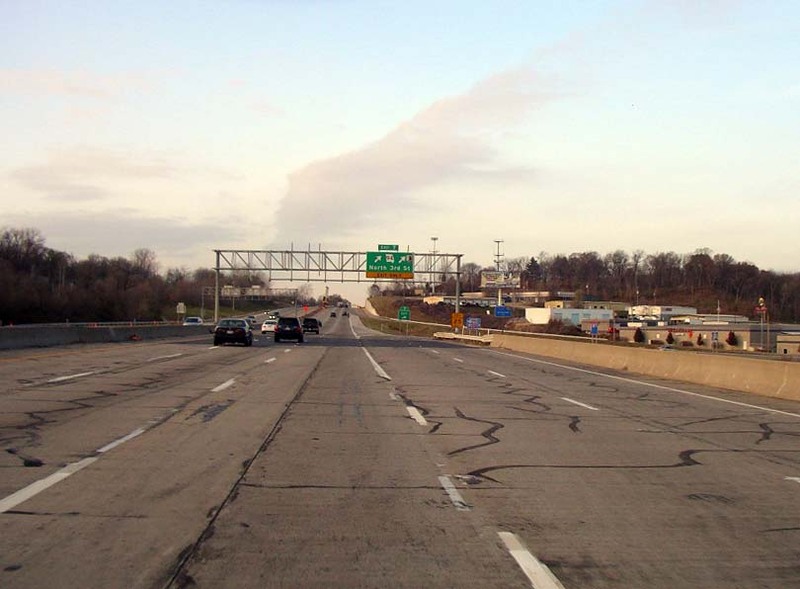 Little Hills Expressway in the site area during 2005.